At Fusion we take your data seriously and work with the leading back-up specialists Altaro Backup, to ensure your systems quickly return to normal in the event of a system failure. 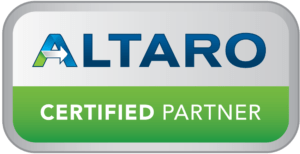 Altaro Hyper-V Backup is a reliable solution built specifically for Hyper-V and designed to make backing up Microsoft Hyper-V VMs easier than ever. Affordably priced, yet packed with sophisticated features, it ensures your systems are back up and running in a matter of minutes. It also protects your VMs by using flexible features for automated backups and offers a host of granular restore options, to recover data quickly and safely. If you are worried that your current back-up strategy is placing important data at risk, call us today a free, no-obligation backup review.